We were asked by a refurbishment company to try and deep clean a vinyl floor that they thought had deteriorated so far that it couldn’t be saved. 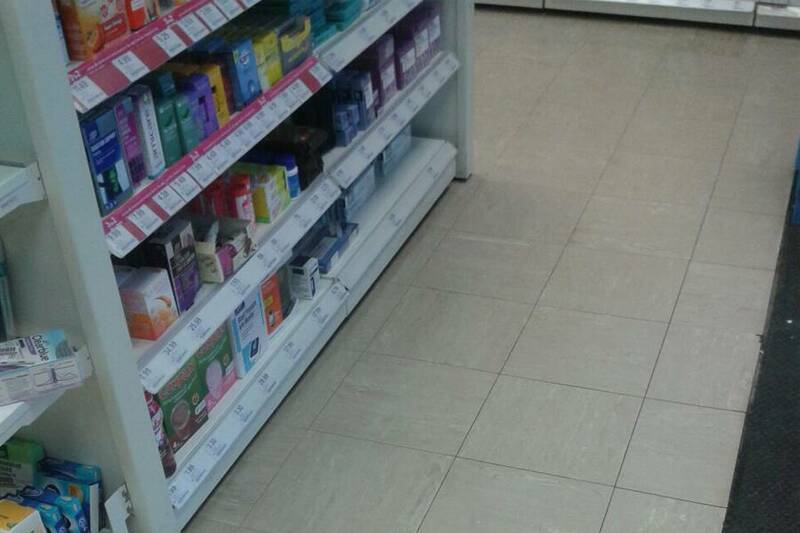 Our initial horror was how did a Pharmacy trade with such a disgusting floor in the first place? 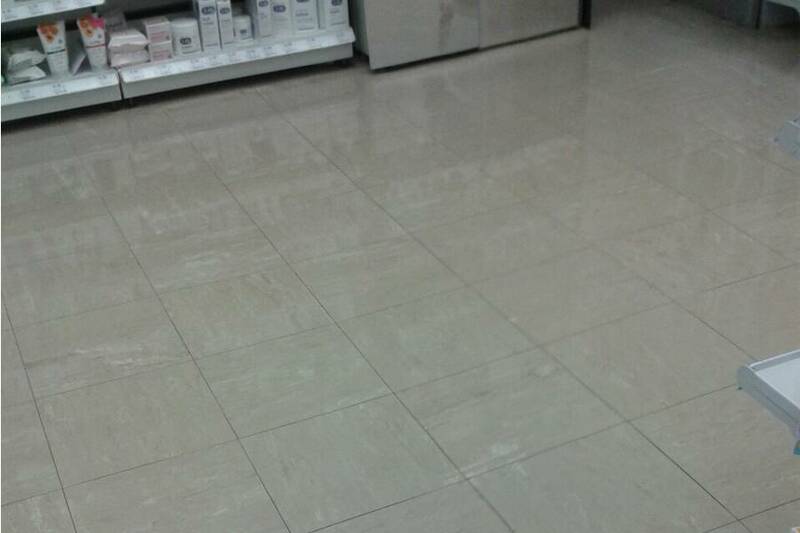 It is apparent that the national cleaning company were not delivering the service that they should have been, shock horror, also the Pharmacy staff did not know how easy it was too flat mop the floor after it was restored by us. These two simple factors contributed to the following appearance in their floor which can easily be avoided if you employ the right people for the job. We carried out a full strip & seal of the floor, first using Dr Schutz Turbo Strip which is a very effective and safe stripping agent this removed any ingrained dirt, staining and contaminants before we applied a suitable dressing sealant. The option was passed to the client to either apply a dressing seal or a more permanent hard wearing PU Sealer after we had prepared the floor, the client chose the dressing seal of which we applied the high solid content Dr Schutz Ultra High Shine. 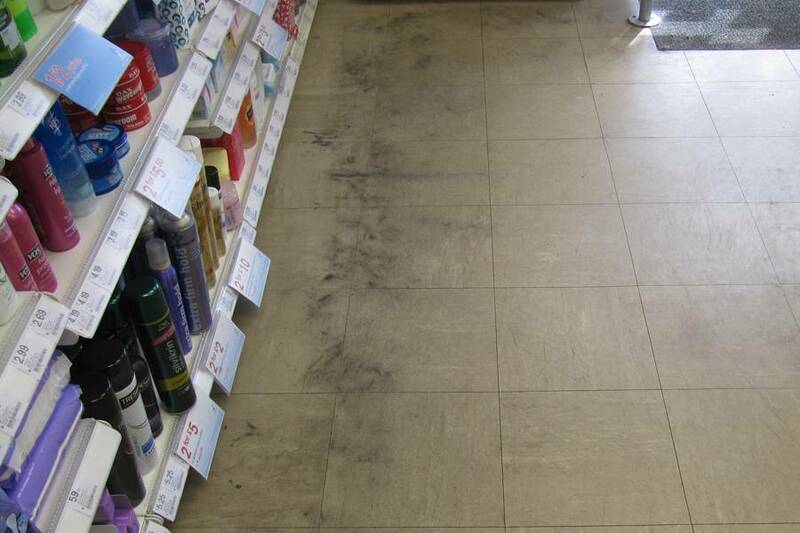 This has given the floor a completely different appearance which looks medically clean for customers that use the shop. Our recommendation on maintaining these types of multi-outlet shops is a periodic maintenance programme that is coupled with the supply of correct cleaning supplies that the staff can use on an as when required basis. Beaver Floorcare offers these services on a national basis and has a successful track record in both performances of our floor maintenance programmes and the supply of correct cleaning chemicals & sundries. If you would like more information on how we can assist your resilient flooring needs, please contact us on 01564 742095 or use the contact form.